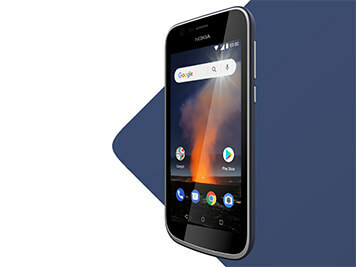 With the 8.1 Android Go operating system, 4G connectivity and two cameras, the Nokia 1 offers an optimised smartphone experience in an affordable package. 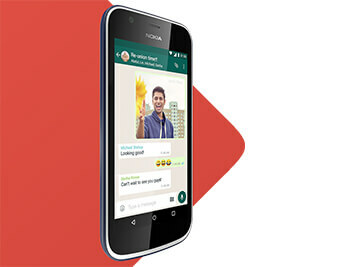 With a quad-core processor, the Nokia 1 is smooth to use and full of possibilities. 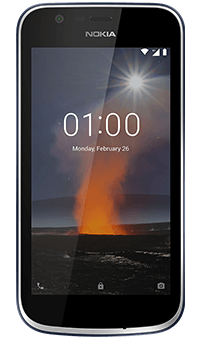 Plus, thanks to the 8.1 Android Go operating system, you can enjoy an optimised smartphone experience without unnecessary apps or hidden processes eating up your phone memory or battery life. Enjoy your favourite apps, like Facebook, WhatsApp and YouTube using 4G connectivity. All the pre-loaded apps have been optimised to use less storage and data. And in case that's not enough, you can take advantage of the MicroSD card slot to expand storage up to 128GB. 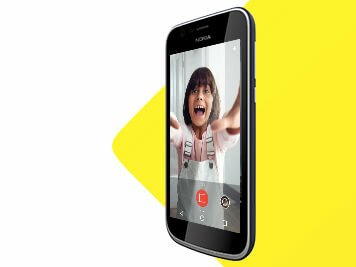 Capture special moments no matter what time of day with the Nokia 1's built-in 5-megapixel rear camera and LED flash. Thanks to its 2-megapixel front camera, you can also make video calls to friends and family and perfect those selfie-taking skills.